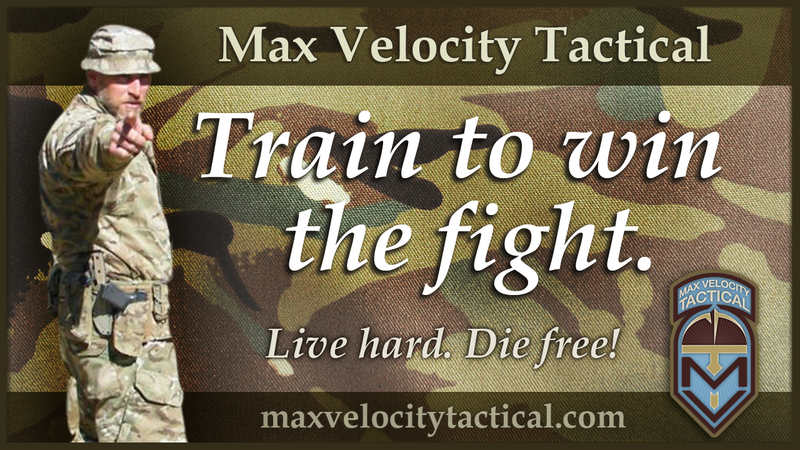 The next MVT Rifleman Challenge is coming up on 4 – 6 September. I have been doing some beta testing and the 2-Mile Speed March event route is going to change. I am going to adjust times to maintain the standard and not make it harder. When I initially conceptualized the MVT Rifleman Challenge, I wanted it to spread out as a standard across the country at different training venues. However, the liberty tactical training community is not a unified animal and I don’t see that happening. So really, it is an MVT event and will take place mostly at the MVT training site. Also, I have added the requirement that you have to have completed Combat Team Tactics in order to attend, due to the requirement to perform on live firing ranges, which will further reduce the number of candidates for the qualification. Standards and safety are standards and safety, right? So I was originally looking for the ‘flattest’ route at the training site and settled for an out and back route on the access road, which goes past some local houses etc. It still isn’t flat or a standard 2-Miler and thus the pass times were adjusted. It was also a ball-buster because the return mile was pretty much uphill all the way. The idea is that if I run a Challenge at another site, I will run the course and adjust the times accordingly, to maintain similar pass standards. I have now beta tested a new route out across the ranges. It is run on dirt roads and ATV trails through the woods. I am working on what the time adjustments will be, but right now I may be adding 2 minutes so Vanguard will be 25 minutes and Rifleman will be 30 minutes. There are some hills on the course. However, it is more variable and once you have scaled the couple of uphills, there are plenty of varied flat and downhill places to run out a fast pace. Parking lot out on the usual road we drive the Ranger on out to the pavilion. Up the spur between the two CTT ranges. Right along the ridge trail back to where the original trail crests the ridge. Add a loop back to the pavilion and up the spur, along the ridge again. Back down to the parking lot. This is a mix of uphill and downhill. You need to get your legs strong for going up hills. This is a tactical fitness challenge. We do have tailored tactical fitness plans that are designed to lead right up to attendance on the Challenge. Be realistic about your fitness – this is not a light standard and you need to train to attain it. Also, don’t forget I am now offering land navigation, and have a couple of scheduled classes coming up. This is not taught at the Challenge itself, it simply needs to be performed. It sounds like the new course will be a better course, and more interesting with trails running through the woods. Can’t wait to get up there to check it out. Just started my rucking PT again and 30 minutes for 2 miles seems quite doable. That’s a 15 minute mile which has always been the standard. It’s been a few years since I worked on my tabbing skills and I am still able to do 2 miles under 30. Mind you that was on flat concrete and not carrying my LBH but I was carrying 45 pounds. 25 minutes in full battle rattle and 30 pounds will as Max stated require “shuffling”, nothing new to this old man since due to my short legs I have always done the 100m walking / 100m shuffling to make time. Just don’t underestimate that this route includes hills, so the rifleman time does not exactly equate to the old standard 15 minute miles. The vanguard time at 25 (if these do in fact be taken on as the standards) is of course a better time to aim for. But the philosophy of this speed March does not equate to a ‘long slow ruck’ but a fast nice to relieve troops in contact.